After a default Kubuntu installation, fonts look nicely anti-aliased and still clear (see attachment clear-before-appearance.png). But if I add a ~/.fonts.conf (and log out and in), they get completely blurry (see blurry-after-appearance.png), even if the ~/.fonts.conf is empty between <fontconfig> </fontconfig>. This caught me, because the Kubuntu system settings created a ~/.fonts.conf when I viewed the Appearance section (see the bug #69085). If you think it is a mistake to have a quasi empty ~/.fonts.conf present, or the one that Kubuntu System Settings writes out is wrong (see linked bug: fonts.diff), then this bug against fontconfig may be rejected. But I assume, that if one setting is not present in ~/.fonts.conf, it is taken from /etc/fonts/fonts.conf, so an "empty" ~/.fonts.conf should not hurt. This bug seems to have been encountered by various users who have added their information to #63403. Especially comment 20 explains this, and the following comments also conclude, that maybe for mentioned case (3) there should be a separate bug filed. Maybe my bug report fulfills this need. The issue you describe here is even more odd. I don't understand why an empty ~/.fonts.conf makes any difference, there are no conflicts in this case. The problem I was talking about is that it's not clear what the priority is between Xft resources and the settings in ~/.fonts.conf . If both conflict (eg having the Xft.hintstyle=hintmedium resources, and setting hintstyle to hintfull in ~/.fonts.conf), then a priority should be clearly made, and every apps should follow it. I can reproduce this behavior (on Edgy). I seem to have the same problem on Gutsy. With ~/.fonts.conf present I always get super-blurry over-antialiased fonts. I've removed .fonts.conf and now my KDE4 fonts are good (slightly antialised), but my KDE3 fonts, Thunderbird, Firefox, & GIMP GUI are blurry. As a result the fonts revert to a fuzzy appearance. To correct this, I have to manually delete the local ~/.fonts.conf each time I access the Appearance option from systemsettings. Bug has been confirmed by multiple people. Changing status to Confirmed. The (2) bit of this issue that referred to system settings | Appearance creating ~/.fonts.conf each time it is accessed may now not exist in Intrepid. #The line above is just because I use WindowMaker so should be ignored. as being now entirely optional. A Gnome expert might be able to confirm this. Sorry, if that wasn't clear, but this report mentioned Kubuntu's System Settings, i.e. 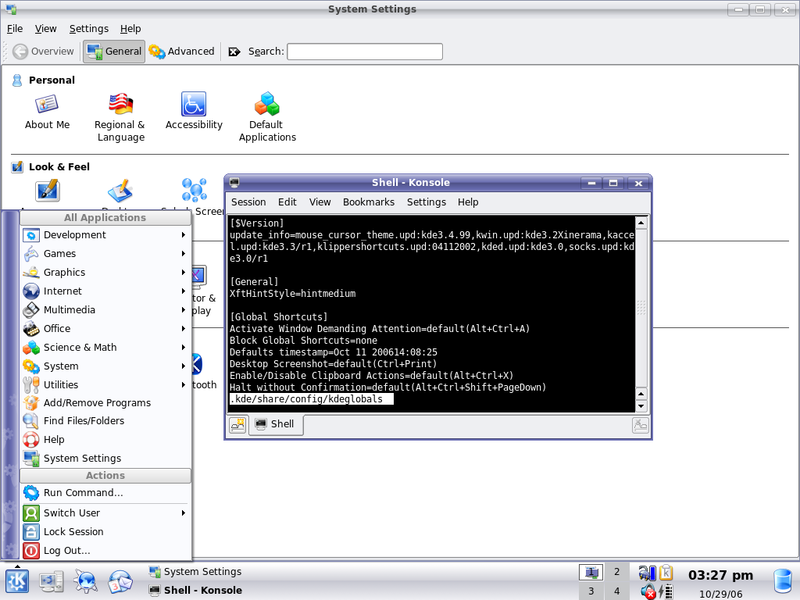 the KDE ones, but nonetheless, issue (2) is mainly discussed in #69085. Opening System Settings -- Appearance -- Fonts still creates a ".fonts.conf", even in Kubuntu 8.10 (KDE 4.1). I don't have the same hardware anymore, so I can't test, whether an empty .fonts.conf makes fonts blurry anymore (and that's what this bug report is mainly about). I only know that with my current hardware, fonts get better, if I change the KDE created defaults in .fonts.conf from rgba:none->rgb and hintstyle:hintmedium->hintfull. firstly apologies for not clicking through to #69085 when I first read this bug report. the behaviour on my system is not an empty ~/.fonts.conf but a populated file in xml format. regarding fuzzy fonts rather than being also clouded by fonts.conf stuff. I think that this is the wrong Launchpad bug report to link to (it is assigned to fontconfig). You probably meant that one: https://bugs.launchpad.net/kdebase/+bug/69085 where I have now added your upstream bug watch. To answer your question: Back when I reported it, this was still in KDE3 and the system settings module wasn't part of upstream KDE. I no longer experience this issue in Kubuntu lucid Lynx 10.04 x64. @Frank, please could you check if this issue is still affecting you under latest release included in Kubuntu 10.04? Thanks! I experienced this in Kubuntu 11.04 amd64 fully updated as of 01/31/2011. I opened the font configuration screen, did not change anything, did not apply any changes nor was I asked to and then logged out and back in to find my fonts were no longer anti-aliased, etc. I deleted the .fonts.conf file and .fontsconfig directory and then logged out and back in to find my fonts returned to the what they were prior to opening the font config screen. Marking back to Confirmed on Craig Mangina's test.